Running big power in your AR60-based monster or mega truck? Tired of breaking axles? These are for you! 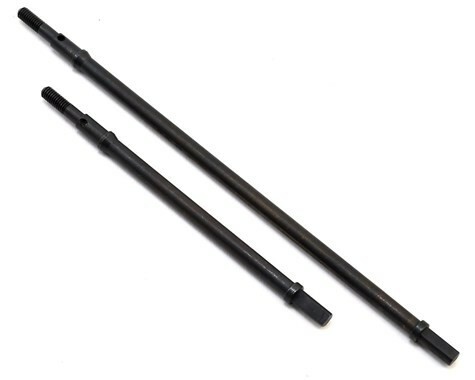 This is a set of Chromoly hardened steel rear stright axle shafts for the AR60 axles. These are a direct replacement for the stock Axial parts (AX30776). Shipping Charges: Our standard shipping charge is $5.50 for the 1st item and $1.00 for each additional item purchased.